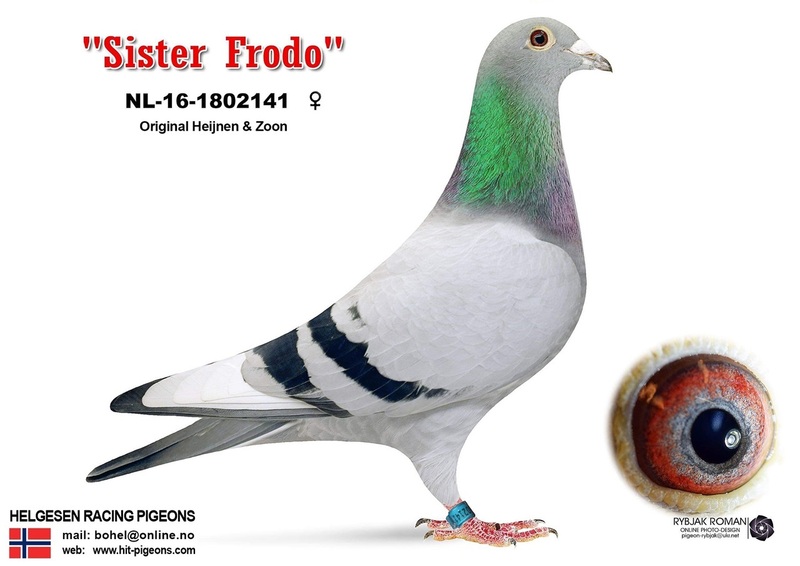 Our breeding pair 15 / 2019 is updated at our web page, and consit of two very nice birds from Karl-Heinz Wichert and Heijnen & Zoon. The sire is a direct son the 1 prize FCI winner in Mediterraneo 2016 (7 min. before second bird). The hen is a daughter "Bourges 167 who won 3x 1 prizes and after Heijnen & Zoon very strong 1st NAT Bourges line. This nice hen is mother of our 59 prize winner in AGD 2017, and also grandmother of 1 prize winner of Colombaia Unica Naztional OLR Final 2018 (485km).